NEW! How to Register: You can now register anytime in classes where there is room! Our gym school season now runs from September until the end of June and you can pay monthly or in full! You do not need to re-register again for each term. Summer Classes is a separate registration. Read our updated policies here before registering. You may cancel at any time with only 2 weeks notice! To login to your parent portal click here. To create a new account click Register beside the first class of your choice. 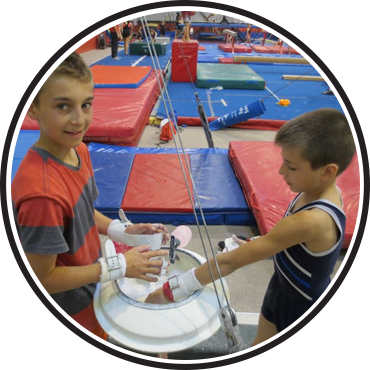 Gymnastics provides a variety of challenges involving the entire body and the mind, while developing character traits that will help participants throughout their entire lives. As it develops balance, coordination, flexibility and strength, power and speed as well as self discipline, gymnastics is considered the foundation of all sports. It also compliments every sport and will helps your child reach their athletic potential! The gymnastics CANGYM Level System, used across Canada, forms the basis of this non-competitive gymnastics curriculum. Gymnasts will learn skills on Olympic equipment, men’s or women’s events and also trampoline. Evaluations are done 4x over the entire year while gymnasts work at their own pace, according to their individual level of ability. Participants must be enrolled 8-10 weeks in advance of testing to be evaluated and will receive either a testing report or a progress report. Personal Best! Personal Goals! Self-Confidence! Does your boy have energy to burn or need to cut back on tv or video games? This introductory program offers just enough variety to keep from getting bored. 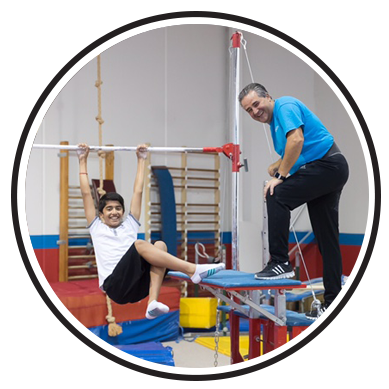 It teaches the basic skills of boys gymnastics with a variety of drills, positions and specific techniques. Keep your child active and healthy! 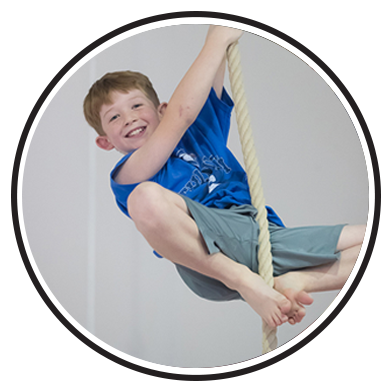 Enhance your child’s coordination and strength and build self confidence! 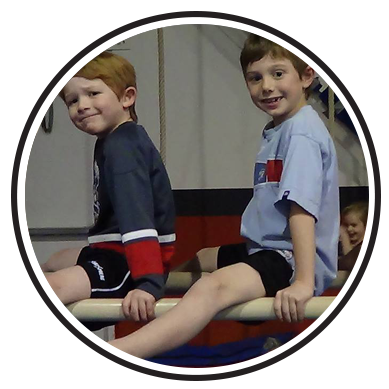 This program teaches boys gymnastics in a fun and educational environment. 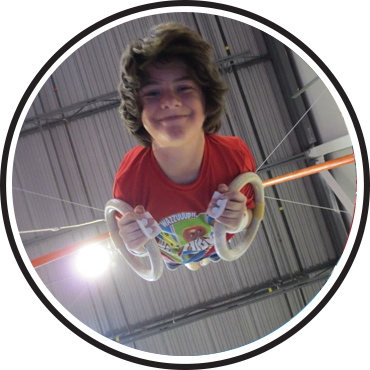 Participants will develop handstands, cartwheels, bridges, hip pullovers and various other skills on all boys events. They will also be required to become strong enough to support their own body. Keep your child active and healthy! It’s a great base and compliment for all sports, developing balance, coordination, power and strength, both during and off season! Recommendation: 1.5 hr class, 2x per week. This is a program with an ‘advanced style’ approach designed to develop skills at a faster pace. It involves increased emphasis on conditioning and flexibility with more attention to details. 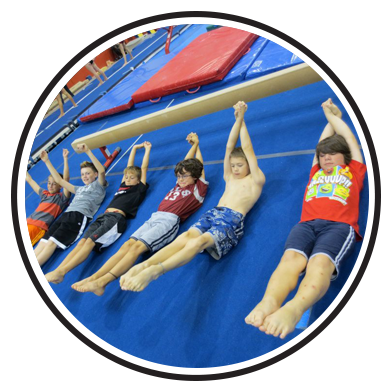 It is a progressive program where gymnasts work on tumbling skills, bigger swings, holds, vaulting and more. The expectations are higher in this program. This program is by coaches’ recommendation only. It is designed to give those who demonstrate the ability, greater challenges and increased opportunities for further development, at a quicker pace. The program will focus more on conditioning and stretching the body to prepare to learn more difficult skills. The boys will compete in a mandatory, ‘just for fun’ competition, hosted right at our facility. This will give them the full gymnastics experience! At these competitions, everyone wins! This is a program with an ‘advanced style’ approach designed to develop skills at a faster pace. It involves increased emphasis on conditioning and flexibility with more time on events. 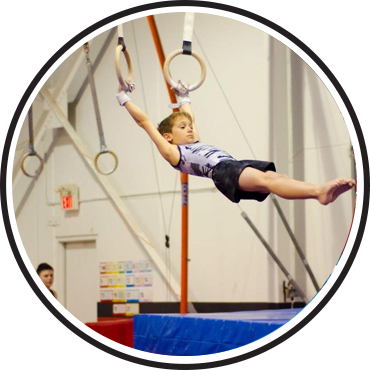 It is a progressive program where gymnasts work on tumbling skills, bigger swings, holds, vaulting and more. The expectations are higher in this program.